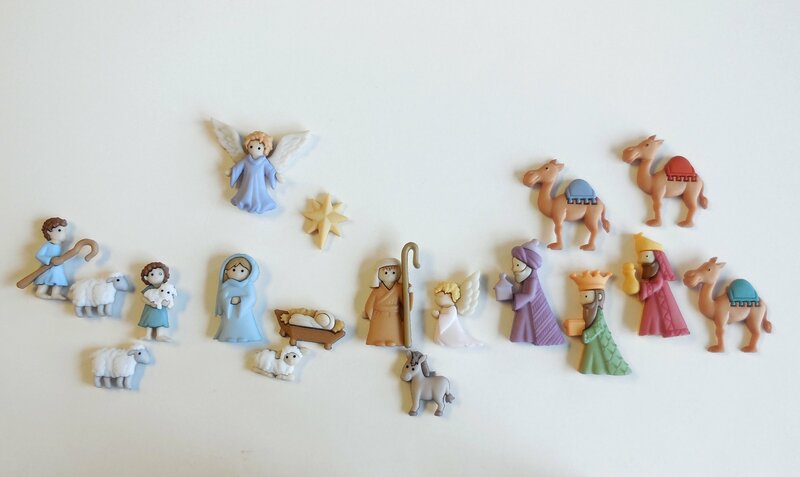 This cute set of Nativity buttons will dress up everything from clothing to crafts and holiday quilt projects. Included are Jesus, Mary, Joseph, 2 angels, star, 2 shepherds, 3 sheep, 1 donkey, 3 kings and 3 camels. The buttons measure from 1/2" to 1 and 1/4".